I was looking back at photos from the past year and I realized I didn’t share the photos of the Badlands of South Dakota. 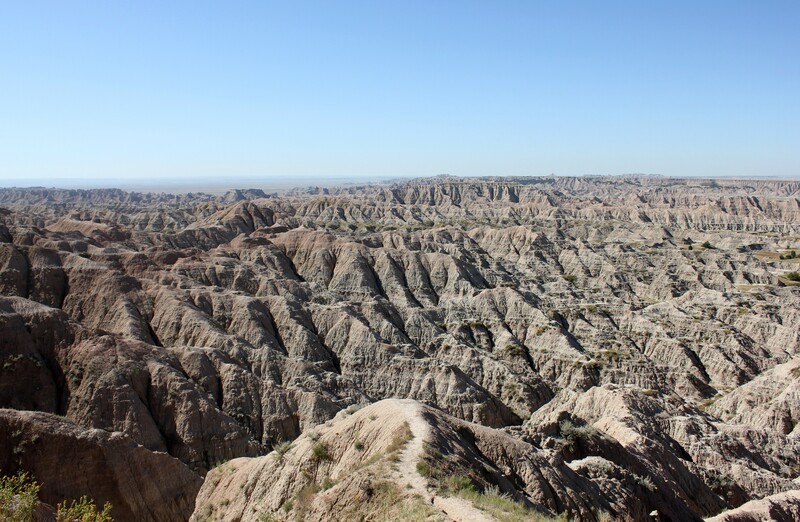 Badlands are a geographic feature where the earth has been stripped to the bare rocks as opposed to the Naughty Lands which only go topsoiless. They’re a pokey bunch of rocks. Trust me don’t trip..
Doesn’t this one look like a bunch of medieval Sci-fi castles? This one looked liked a temple with a pagoda. There’s most likely a bigfoot monk living up there. Bigfoots can be deep. And baaaaa or maaaa or blehhhh or whatever it is that goats say..
I’m still playing with this lightbox thing. I’m boring Dummy so much, he decided to take up a hobby. A closeup of the painting which is acrylic, 2.5 by 3.5 inches. It’s of downtown Deadwood, South Dakota. Why there are Wii people walking in the background is beyond me. (and why Wii people have big fat heads is also beyond me.) Looks like city hall is ready to collapse there, I really should pay more attention to perspective. I’m always amazed that anyone traveled beyond these back in the day. I would have taken one look at them and turned around.Thanks for looking! He’s a wildman, he needs to be free, free as the badlands! Woo hoo. Like your photos Virginia. Amazing scenery. Thanks Marmsk! It was a great area to see. Such a brutal place! Love all your paintings, especially the pointillism tree and the Van Gogh like painting! 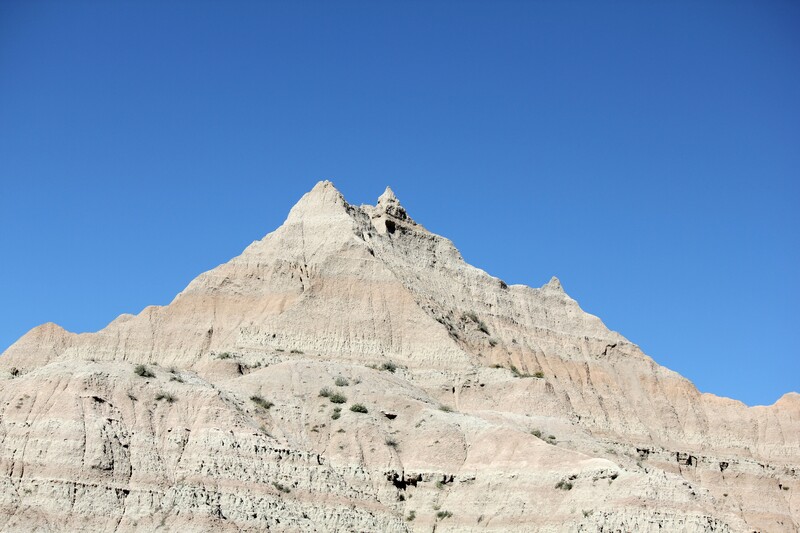 The Badlands..great photos! Never seen anything like them. 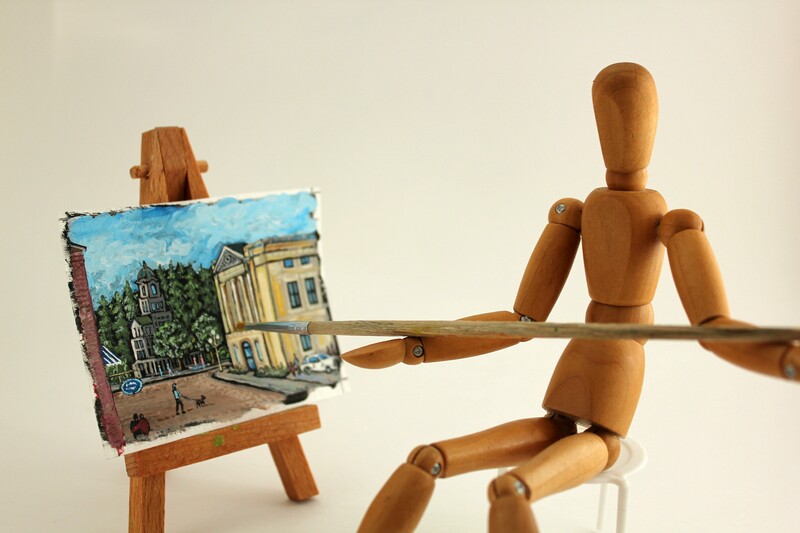 Your purple dog is so cute…..
How did you paint the little street scene on the little easel??? Thanks for the great compliments!! Oh the Badlands are so lovely! 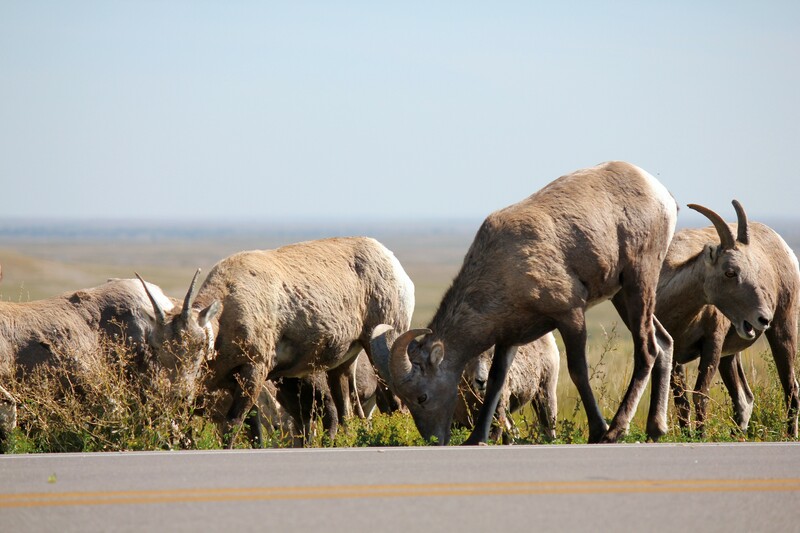 I’m glad you got to see bighorn sheep, I saw exactly zero when I was there a couple years back and felt a little cheated. And hey, Dummy looks like she is already rockin’ his new hobby, nice mini! Thanks! I keep calling them goats, when they’re sheep! They have a lot of nerve looking like goats. Your photos of the Badlands makes me curious. Such a unforgiven and exposed landscape. Nothing seem to thrive there, or what? 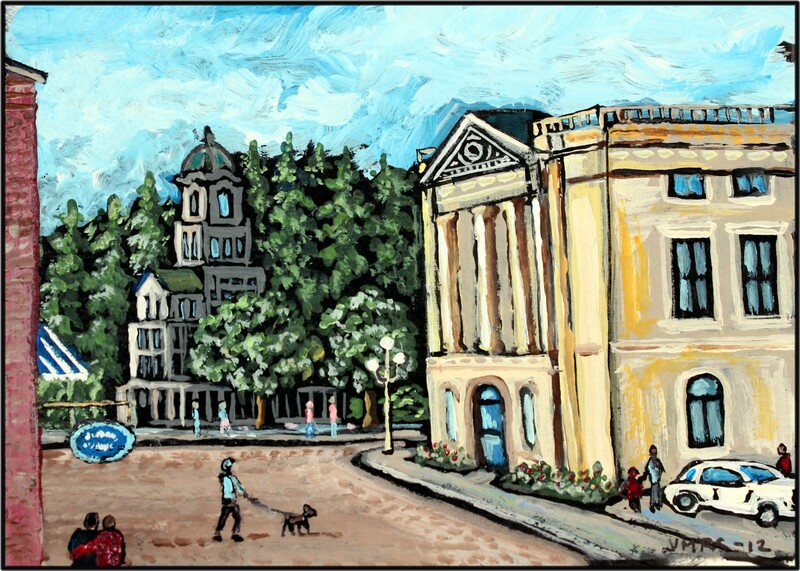 I like your painting of downtown Deadwood, and I like the skewed city hall, which gives character to the painting. The perspective doesn’t always have to be correct. Thank you so much. They’re incredible and they go on and on and on. I’ve never seen anything like them.